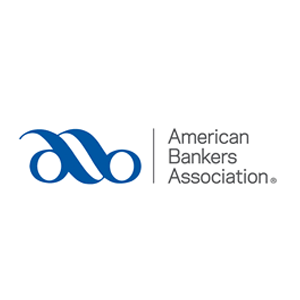 The American Bankers Association has announced changes to its SCRA compliance requirements. The ABA, which makes available to its members very detailed analyses on Servicemembers Civil Relief Act compliance and HUD’s Servicemembers Civil Relief Act notice disclosure, has announced recent revisions to reflect changes in the federal statutes related to the SCRA. One item of note is that the foreclosure protections have reverted to the original version of the SCRA which covered the servicemember during the period of active duty and 90 days thereafter. There had been temporary legislation that increased the post-service protection period to one-year; however, the temporary legislation expired at the end of 2015. There is a bill in Congress to increase the protection period to one-year. A history of the one-year temporary extensions can be found in footnote 9 of Title III of the Act. The Active Duty Status Date: As of what particular date do you want to know the person’s military status? That is the “Active Duty Status Date”. Most of the time, this date is the date you are conducting your inquiry, but, occasionally, you may want to know the person’s status as of a date in the past (but not before September 30, 1985). We will report to you the status as of the Active Duty Status Date AND 367 days prior to that date. If you want to verify a person’s status over a span of times, you would need to submit a verification for one date of each year you want to cover. Active Duty Termination Date: This is the date the person’s active duty terminated. Often creditors simply check to see if the military service has ended. That would be a mistake. The creditor should also review to see if any protections extend beyond the termination date, and for how long. For example, the currently law prohibits foreclosures for a period of 90 days after the termination date.